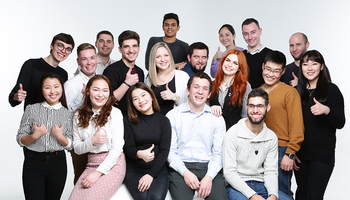 19 November in Center for International IT-training of TUSUR students, who studied successfully course in Tomsk IT-company «Tomsksoft», received the certificates. 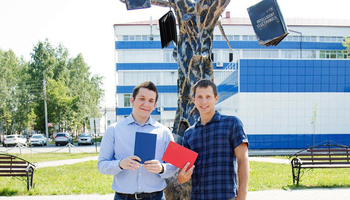 First graduates of study course became Vitaly Tkachenko and Alexander Pak. They successfully performed their projects. Students demonstrated quality work, satisfying the high requirements. After study course Vitaly and Alexander will continue working in the company «Tomsksoft» as developers. 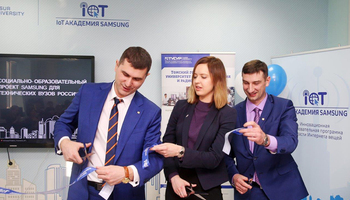 Study course program in Tomsk leading IT-companies is carried out by Center for International IT-training. 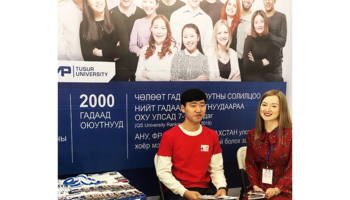 TUSUR students of all forms of study have the opportunity to participate in such a program. Duration of study course depends on direction and specific IT-company. At an average study course lasts about two weeks. On the expiration total assessment of trainee’s work effectiveness is conducted. Depending on content, size and quality of work trainee will receive documents (certificates, recommendations and documents, confirming authorship). During the study course students, who shows the best results, receive scholarships or remuneration after its termination.